Hello friends! 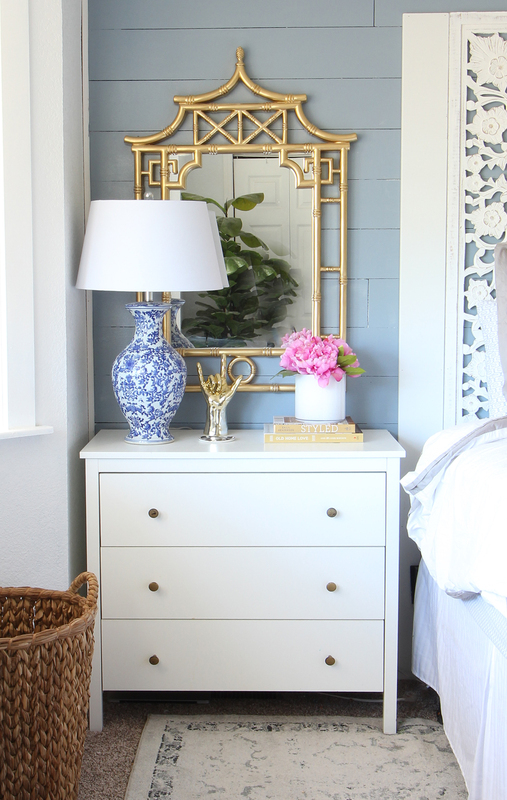 I’m so excited to be sharing my master bedroom makeover reveal with you today! 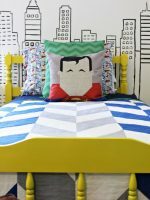 It’s a colorful mix of traditional, modern and a splash of farmhouse and I absolutely l love it! 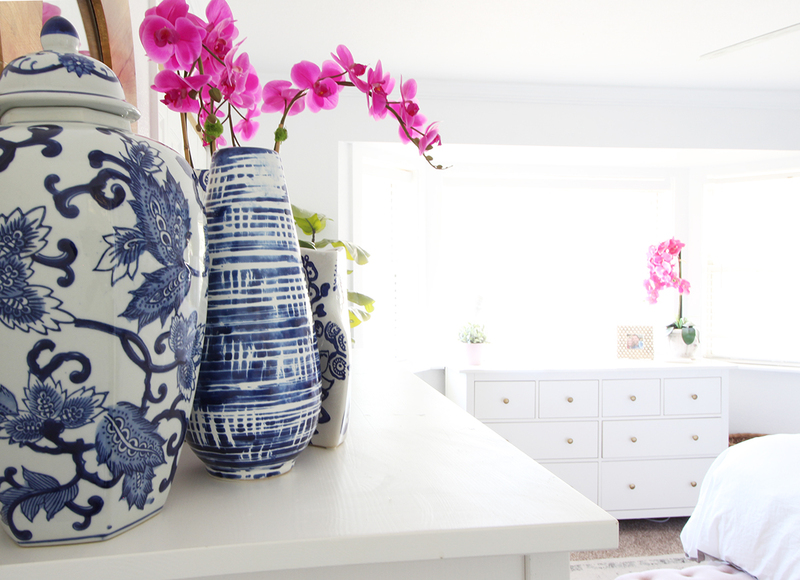 Last week I shared my plan for refreshing the space! Let’s chat mattresses for a sec. Guys, no matter how much work, time, energy, etc you put into your space, the most important thing about designing a space is that it functions for you to the best of you and the room’s ability. Have you ever been to a beautiful hotel but the bed was so uncomfortable you couldn’t sleep? Maybe you visited a restaurant that had a great atmosphere and looked great but the food was awful? PRIORITIES people. 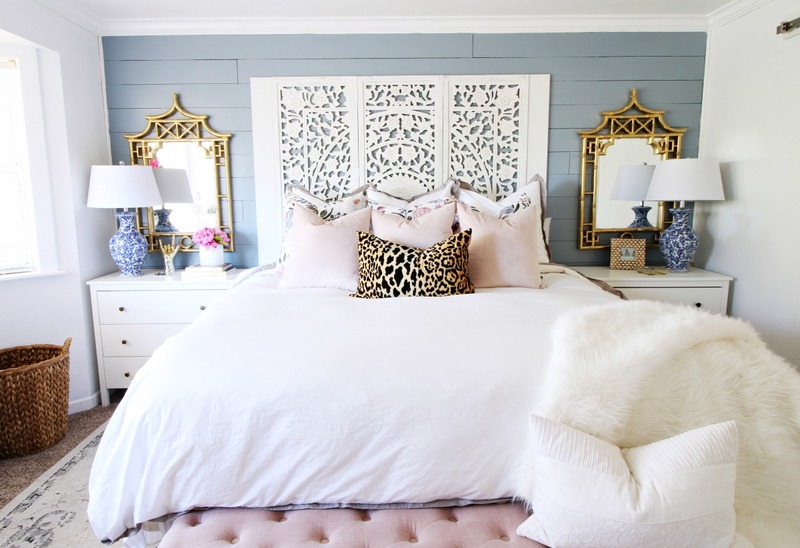 If your master bedroom is not a place you can completely relax and recover from your day’s work, what’s the point? 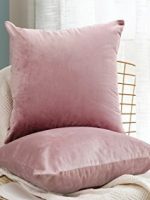 Why design a beautiful space unless it does it’s job? A good night’s sleep is not to be taken for granted. 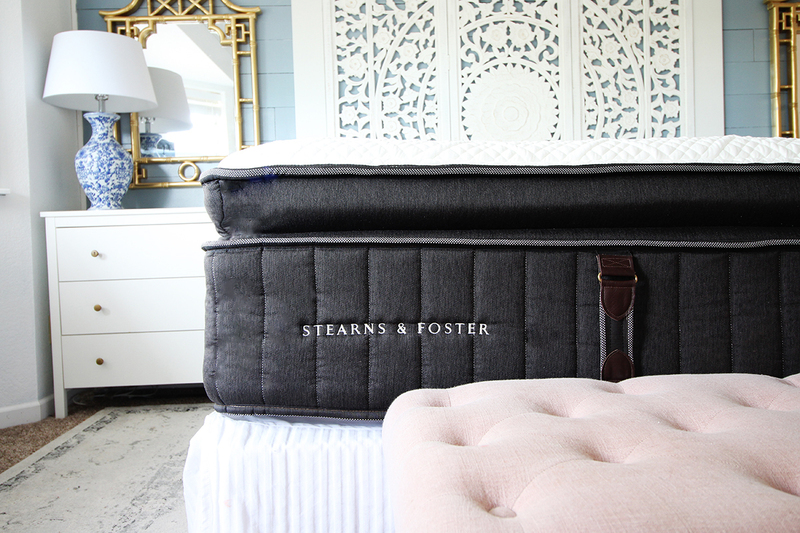 I recently received a new Stearns & Foster bed and it is by far the MOST comfortable bed I have ever slept on! Side note: I love the embroidered logo! 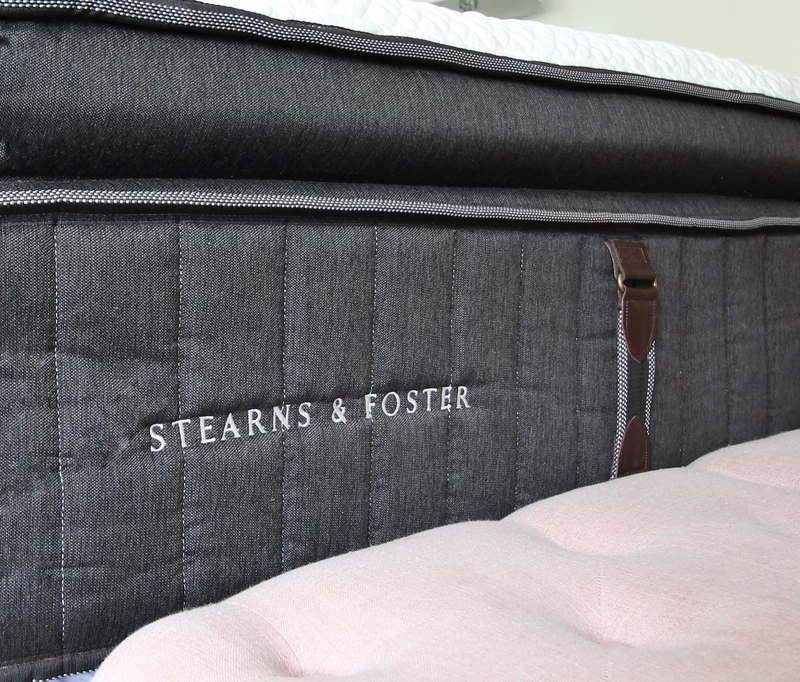 The Stearns & Foster mattress has details that just scream quality. For example, a king-size mattress is going to be heavy, right? These leather straps for moving the mattress came in very handy! I love the stitching and the detail of the is mattress. If you’re in the market for a new mattress or you’re just not sleeping great, it may be time for a new one! Stop by a local retailer to try out a new Stearns & Foster bed. You can thank me later! The rest of the room came together quite nicely. 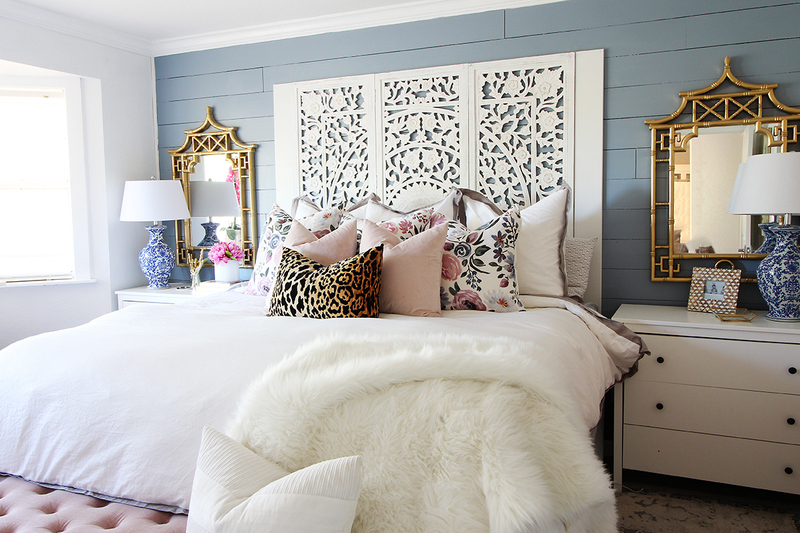 I painted the shiplap wall with Behr’s French Colony blue. I found these amazing mirrors at At Home and spray painted them gold. 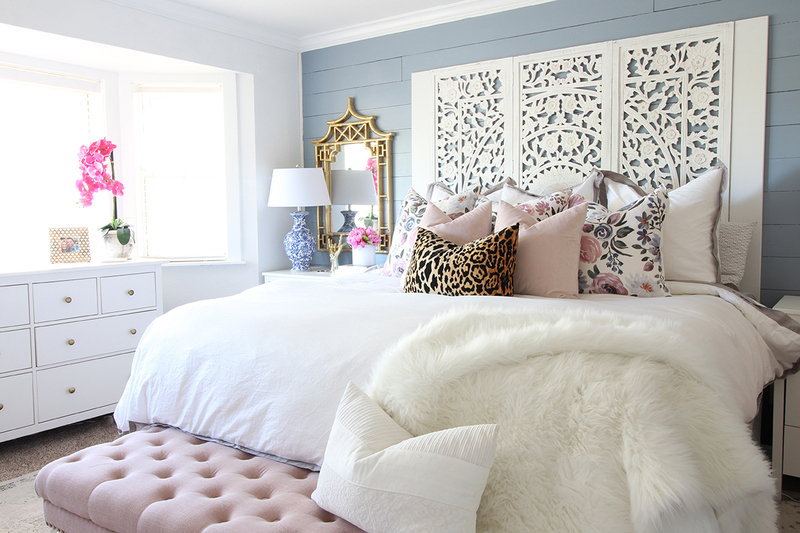 The headboard is one of my favorite things about the space. 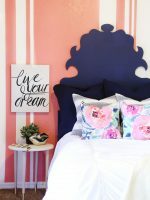 I bought a room divider from World Market then mounted it on the wall for a headboard. I added the two side boards to make it wide enough for my king-size bed. 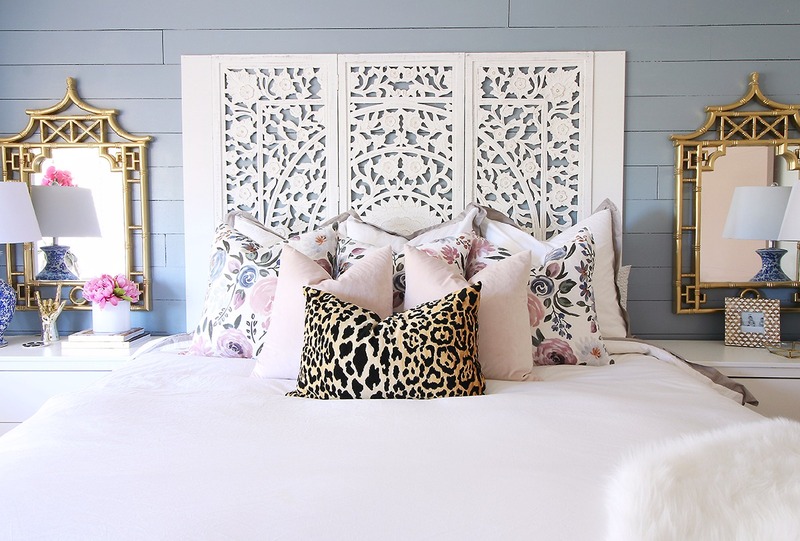 The bedding is from Crane and Canopy (Linden Grey Border) with pillows from Hobby Lobby (pink velvet), Caitlin Wilson (florals) and Willa Skye Home (leopard)! 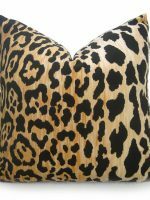 Quality bedding is the perfect combination to a high quality mattress. 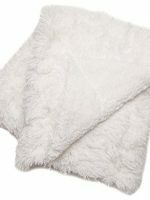 Both are essential to a good night’s sleep in my opinion. 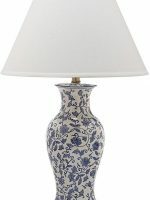 All of my white dressers and bedside tables are from Ikea. I have had them for a few years and they’ve held up great! 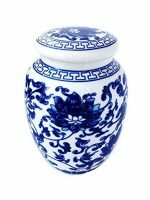 I have been collecting blue Italian glassware for the past year or so and I love how it fits in any room in my house. I cannot tell you how much I love my new space and how much better I am sleeping with the perfect Stearns & Foster bed and a space that feels clean and cozy! 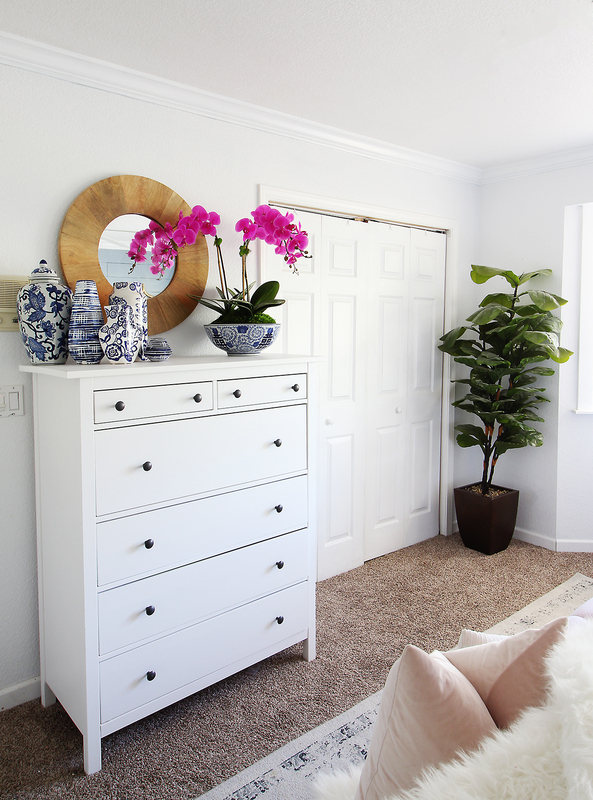 I hope you enjoyed My Master Bedroom Makeover Reveal. 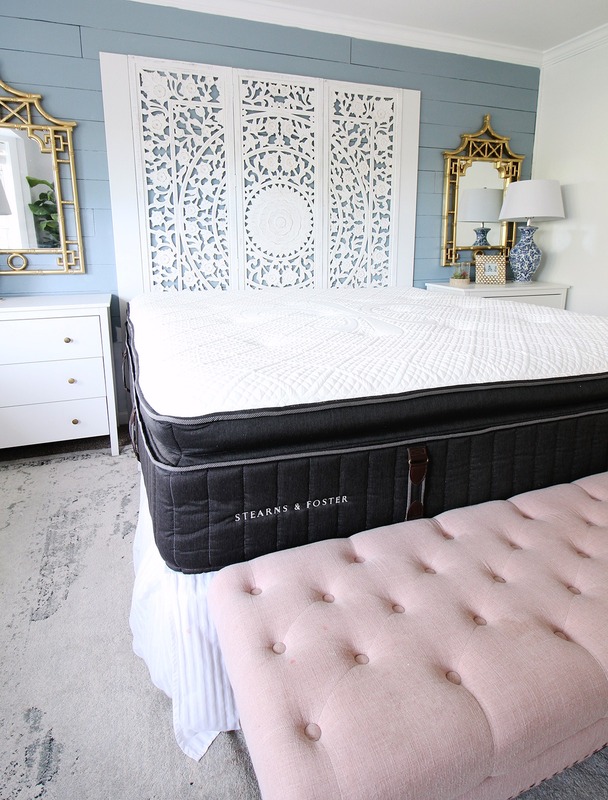 If you’re interested in a Stearns & Foster mattress, make sure you enter the HGTV sweepstakes: Stearns & Foster Bedroom Suite Sweepstakes! Hi! 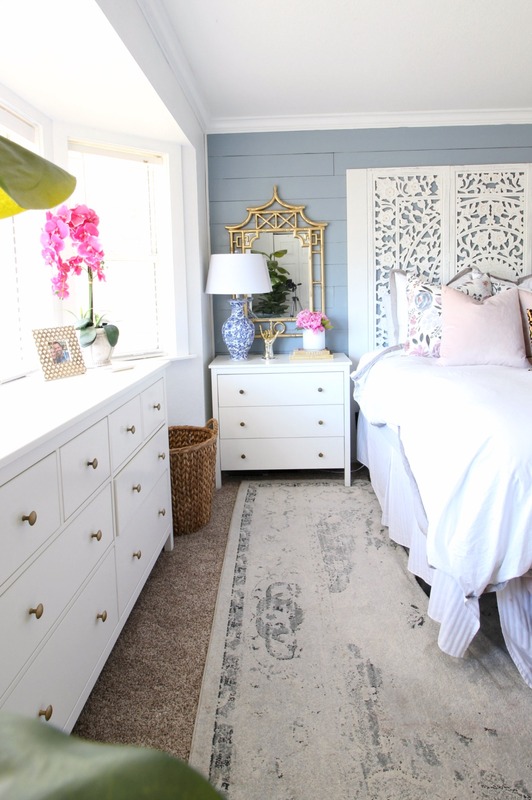 Such a gorgeous bedroom makeover. 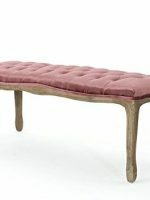 May I ask where the pink tufted bench is from? Love it!